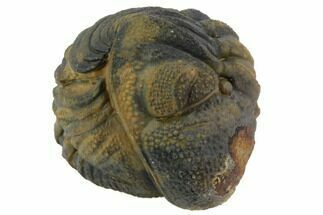 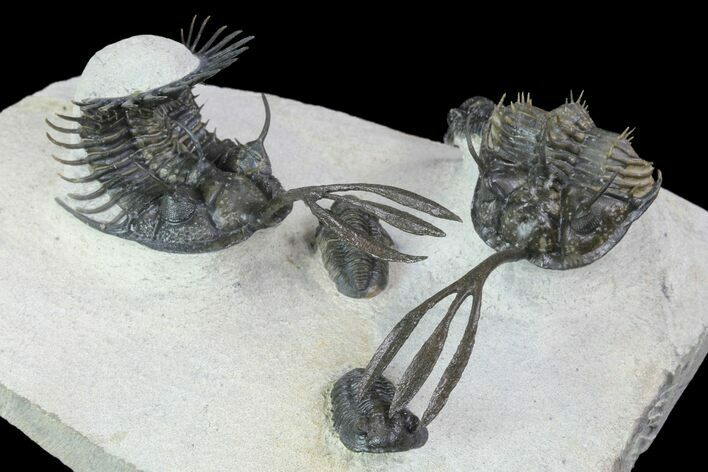 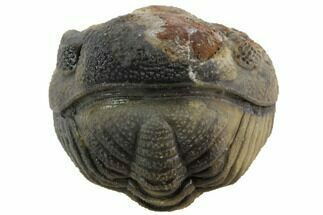 This is a really incredible trilobite association from Foum Zguid, Morocco. 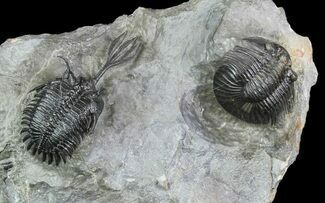 There is a pair of long-forked, Walliserops trifurcatus trilobites associated with three Gerastos tuberculatus and one Acastoides haddadi. 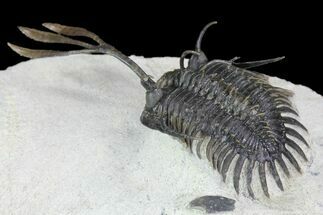 There Acastoides may have been composited onto the piece, it's hard to tell but all the other trilobites look like they are naturally associated. 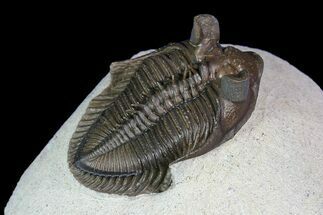 Restoration is pretty minimal, it looks like only about 1-2% of the shell overall on the piece. 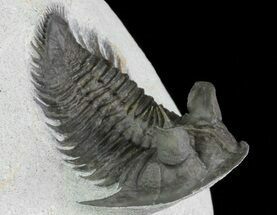 Largest trilobite 3.2", Rock 5x4.3"